Oracle REST Data Services (ORDS) makes it easy to develop modern REST interfaces for relational data in the Oracle Database, Oracle Database 12c JSON Document Store, and Oracle NoSQL Database. A mid-tier Java application, ORDS maps HTTP(S) verbs (GET, POST, PUT, DELETE, etc.) to database transactions and returns any results formatted using JSON. Sign in to the My Services dashboard for your identity domain. In the list of services, locate the entry for Oracle Database Cloud Service and then click Details. 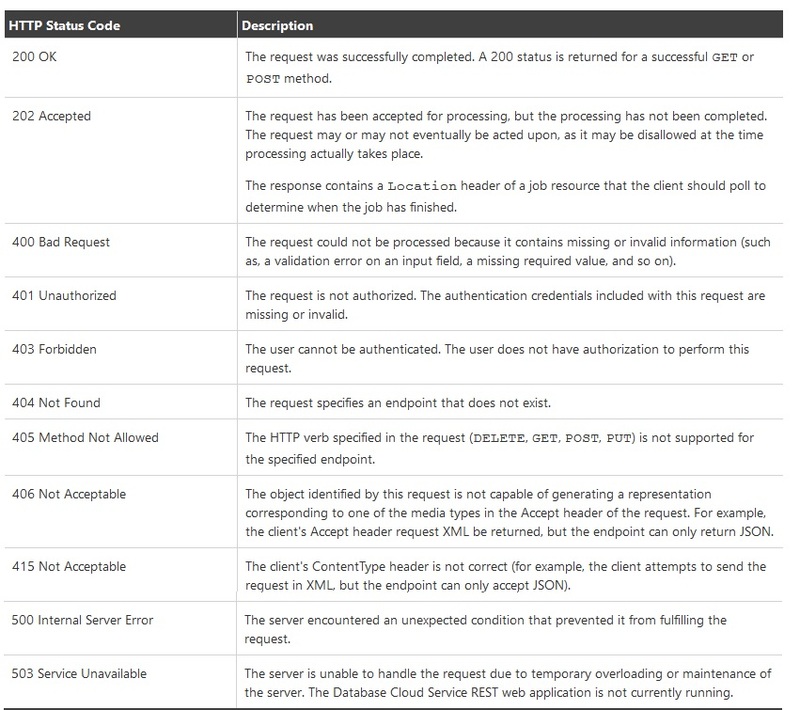 The REST Endpoint field shows the REST server to contact for your identity domain; for example, https://dbaas.oraclecloud.com/ or https://dbcs.emea.oraclecloud.com/. endpoint-path is the relative path that defines the endpoint.